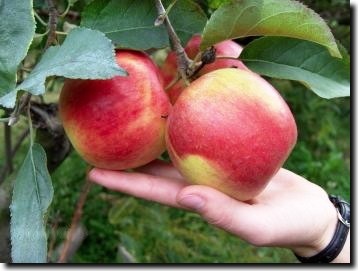 Paula Red apples were discovered around 1960 by grower Lewis Arends near a McIntosh block in his orchard in Sparta Township, Kent County, Michigan. He named the apple after his wife, Pauline. Paula Red apples are bright red with some yellow and tan spots; the skin often has a dusty sheen. They have a sprightly taste, not too sweet and not too tart, vinous and slightly reminiscent of strawberries. It has a firm white flesh and are suitable for both eating fresh and cooking, although they become extremely soft when cooked, which suits them to some dishes (applesauce) and not others (pies). 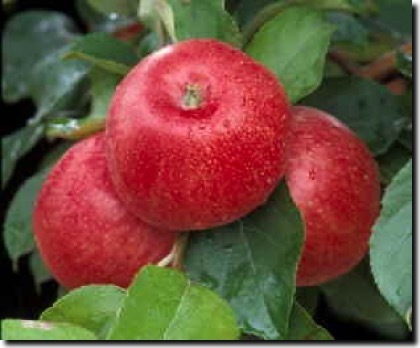 Fruit is medium-sized and round with yellowish-white skin sometimes with a faint red blush. The firm, fine-grained white flesh is juicy and very sweet with a distinctive “sweet apple” flavour. Excellent for cider and drying, also a good desert and baking apple. 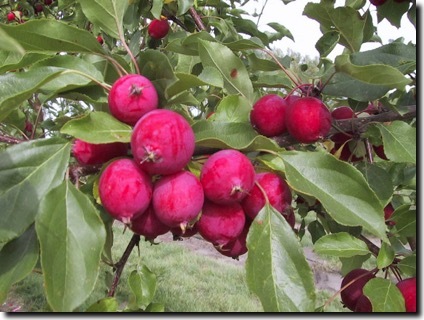 The Dolgo Crabapple makes wonderful Jellies.